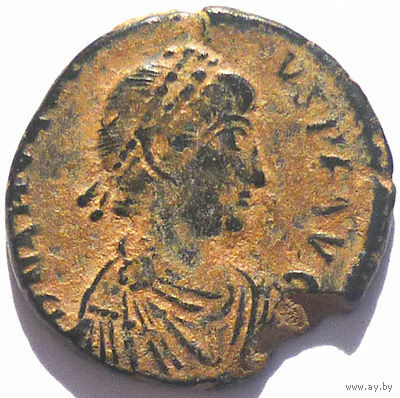 Arcadius AE3. Constantinople, AD 395-401. 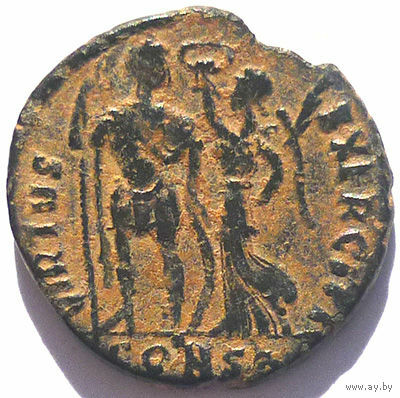 D N ARCADI-VS P F AVG, pearl-diademed, draped and cuirassed bust right / VIRTVS EXERCITI, Emperor standing front and holding spear and resting hand on shield, with head turned right while Victory crowns him with wreath. Mintmark CONSA.​ 16-17 mm.